The tracks were recorded by John Keys at the organs of St. Mary's Church, Nottingham and Nottingham High School. John has diplomas from the Royal College of Music and the Royal Academy of Music in organ playing, was assistant organist at Chester Cathedral and organ scholar at New College, Oxford. He continued his organ studies at the Conservatoire in Geneva under Lionel Rogg. 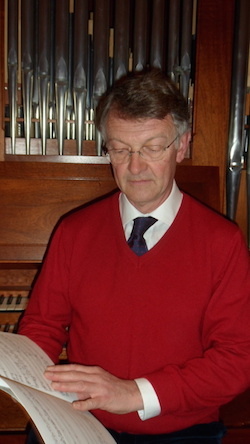 John is director of music at St Mary's Church, Nottingham, Nottingham City Organist, the organist of Nottingham University, and in 2009 was made an Honorary Fellow of the Guild of Church Musicians. Apart from the secondhand music listed below, we don’t sell sheet music, but there are some easy ways to get hold of it online. If you are looking for printed music of hymns, or just for the words, the best starting point is the Cyberhymnal site, which has words and downloadable PDFs of music for a vast range of hymns, including many of the ones on our CDs. These are fine for unison singing, but if you need the harmonies most frequently used in the UK (e.g. for a choir), they are quite often different. In that case, see the hymn book page on the Church Music site for a range of options. If you are looking for help with wedding music, see the Wedding Page of the Church Music Site, and for wedding voluntaries, the Wedding Sheet Music page. There are also specific seasonal pages for Christmas (sheet music and books), Lent to Easter and Harvest. A lot of the settings featured on on Mass/Communion Settings CD are taken from the RSCM book Music for Common Worship I: Music for Sunday. You can buy a copy from the RSCM shop here. We have a collection of second-hand sheet music. To keep it simple, we have a single price of £2 per copy plus p&p - the heavier books at the booklets are priced at £4 plus p&p and books at £7 plus p&p. If you’d like a set of copies, email us to get a reduced rate. All the music is used and could be pristine or could be 80 years old and in need of repair - all we promise is that it’s original, it’s all there, and it is readable. 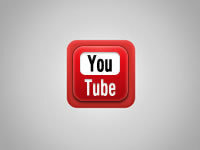 If you have a query, please drop us an email. Sorry, we don't buy music. To purchase one or more copies from the list below, select the item and click Buy Now. You can the modify then number of copies in the shopping bag, up to the maximum number we have in stock. To purchase one or more booklets, select the booklet and click Buy Now. You can the modify then number of copies in the shopping bag, up to the maximum number we have in stock. If you are looking for a specific hymn, just pop over to our Library page, which lists all tracks in alphabetical order of the name of the hymn. If you want to see if we have a specific tune, most of them have a name. You can search the Library page for a tune name by using the Find option on your browser, which searches within the current page you are looking at. This can usually be activated by Ctrl-F on the keyboard (Cmd-F on a Mac) or by looking for ‘Find…’ in either the browser’s Edit menu, or its drop down list of controls, usually accessed from a button with three horizontal bars.